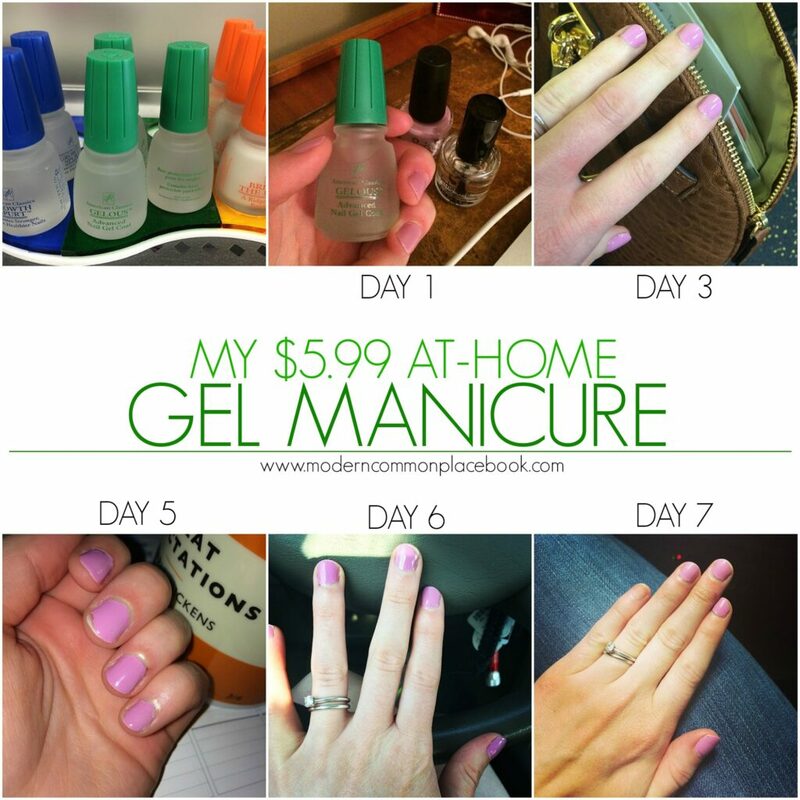 I was so excited to try this easy at-home gel manicure solution! I am sick of my nails chipping in a few days – and really don’t have the money or time to try a professional gel manicure right now. When I saw the pin below of an at-home solution that doesn’t require special gel nail polish or a drying heating lamp – I was so excited to try it! 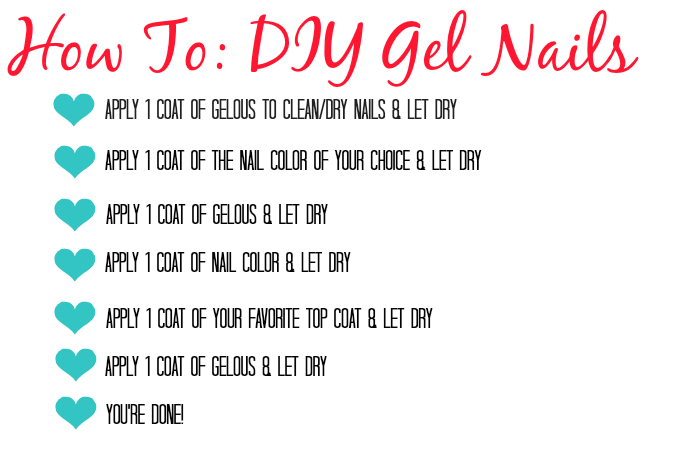 I bought my Gelous from Sally’s Beauty Supply for $5.99 and tested these nails all week. And, I have to say, it was amazing! I must give credit where credit is due. Everything I tested comes directly from this awesome post by Hairspray and Highheels. Full credit goes to her. See her full article HERE. Take a look at my nails above. I did have a few chips on the last day – and two nails just completely popped off on the last day – but SEVEN days later most of my nails were still perfect! The Gelous doubled my nail life. I was very impressed. I did use the Seche Vite top coat like Hairspray and Highheels recommends – because it is my favorite hands down. I have talked about it here and here. My nail color is OPI Lucky Lucky Lavender – my new spring favorite! So – I declare this pin a win!